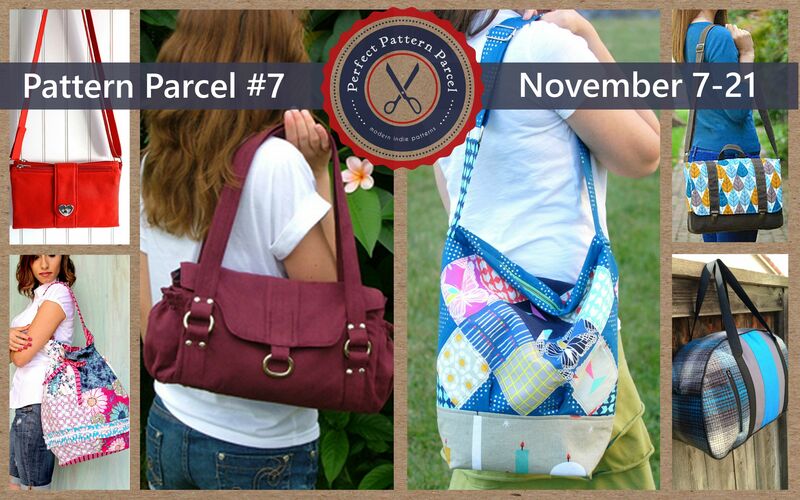 This is my first participation in the Pattern Parcel, and WOW did I luck-out on a great one! It’s all BAGS!!! It’s 5 unique bags pattern from classic to trendy and all super functional… plus, a bonus pattern for some extra sewing. Are you planning your holiday gift list? Do you need handmade ideas for little girls and little boys? Of course you do! Check out the Perfect Petal Purse and the Pirate’s Treasure Wallet patterns by Fabulous Home Sewn. For her Blog Tour, Fenna asked if we wanted to stitch up a purse or a wallet… I said “BOTH!”… so here are both patterns.